NASA hunting for life in an asteroid — NASA is planning a trip to get a sample of the large asteroid Bennu and see if any organic materials can be found on it. If you remember hypercolor t-shirts, you’ll want to know about an air pollution sensing shirt that changes colour and patterns when carbon monoxide, radioactivity and particle pollutants are detected. Something is erasing the craters on Ceres — Ceres, the tiny asteroid belt world we’ve come to know and love through NASA’s Dawn mission, seems to delight in mysteries, from flickering bright spots to unexpected ocean minerals. Now, astronomers have discovered yet another puzzle while examining images of Ceres’ surface. 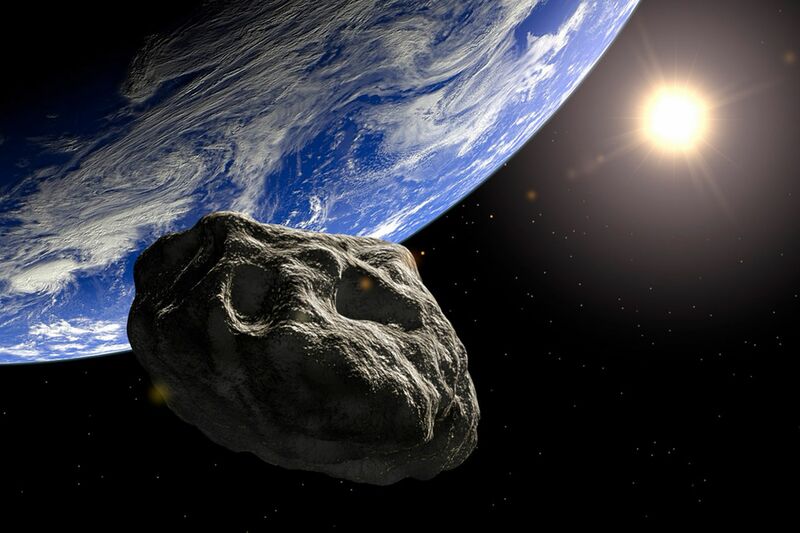 Something has been erasing its craters. Chinese satellite to test secure quantum communications — China is set to launch a satellite that could form part of an unassailable, worldwide communications network. The 600 kg (1,300 pound) QUESS craft, launching sometime in August, will perform the first ever quantum experiments in space. A special crystal onboard will generate pairs of “entangled” photons that will be fired at labs in China and Austria. Ground based teams will then perform tests to see if the photons remain bonded even when 1200 km (700 miles) apart.If the experiment works, it could lead to an encrypted, space-based internet. ~ Now we get to pollute space with comms traffic, too. Super-fast magnetic motor to keep tiny satellites on track — Researchers at Celeroton have created a magnetically levitated motor that achieves the effect of a regular reaction wheel with virtually none of the drawbacks. Since its rotor floats in a magnetic field, it can spin much faster (up to 150,000RPM) without wearing out, creating vibrations or requiring a special, lubricated environment. ~ It’s still in prototype, but there’s lots of interest. Undersea’ desert’ teeming with life — An enormous region of the eastern Pacific, long considered a biological wasteland, is proving anything but. New research reveals the Clarion Clipperton Zone (CCZ), which is being prospected for deep ocean mining, is teeming with never-before-seen forms of life. Covering some 3.5 million square miles between California and Hawaii, the seafloor of the CCZ is one of the most poorly understood ecosystems on Earth. At depths of roughly 13,000 feet (4,000 meters), it’s a monotonous, pitch-black abyss featuring crushing pressures and temperatures just a few degrees above freezing. ~ But what the hell, they can mine it anyway. Australia has moved — Australia is changing from ‘down under’ to ‘down under and across a bit’. The country is shifting its longitude and latitude to fix a discrepancy with global satellite navigation systems. Government body Geoscience Australia is updating the Geocentric Datum of Australia, the country’s national coordinate system, to bring it in line with international data. The reason Australia is slightly out of whack with global systems is that the country moves about 7 centimetres per year due to the shifting of tectonic plates. ~ Refugees can’t move Australia, just tectonic plates.. Solar capture burns CO2 — Engineers at the University of Chicago have created a new kind of solar cell that efficiently converts atmospheric carbon dioxide into usable hydrocarbon fuel – and it does so using only sunlight for energy. Hyperloop factory — Hyperloop One has announced it’s opening its first manufacturing plant to build the future of high-speed transportation. Metalworks is a 105,000 square foot facility in the city of North Las Vegas where components for DevLoop, the first testbed for the platform, will be constructed. ~ First the hyper-bole, then the hyper-loop. Robot spiders can patch airships in flight — Lockheed Martin is unveiling a new hybrid airship in a couple years but is first addressing any potential tears in the hull by creating magnetic robots they call spiders. These will crawl over the ship and work autonomously to patch holes as they appear. One of the things you can do in the expensive, hard to learn but brilliant Photoshop is remove backgrounds to the point they become transparent with so-called ‘clipping paths’. Without Photoshop, though, and some serious time for learning, what options do you have? Preview, the much underused, under appreciated and utterly wonder Apple app – it’s on every Mac, already, tucked away in your Applications folder – I always nominate this to my Dock because I use it a lot. 2/ Start selecting — This next part requires a little bit of finesse: click and drag within the background of your image, and as you drag further, Preview will select more and more and will highlight it in pink as you go. Note that Preview uses colour similarity to determine what to select as you drag, this feature is ideal for removing backgrounds that contrast well with the central image, so consider that when you select a photo to use. 3/ Selection — Once you’re satisfied you have the part of the image you’d like to get rid of selected, let go of your mouse or trackpad button, and Preview selects what you highlighted. Tap the Delete key on your keyboard to remove the selected portion (if you’re not working with a file that’s already in PNG format, you’ll have to convert it to this format, but you’ll be offered that option). 4/ Another method — You can choose Invert Selection from the Edit menu to select everything except what you highlighted, which might be an easier way to get what you want. If you then tap Delete, Preview leaves the background while removing the image. 5/ While you’re looking at Preview … Experiment a little. That Markup button revealed other tools: you can add squares, circles, speech bubbles, text and more to JPEGs, PDFs and more. It’s wonderful. 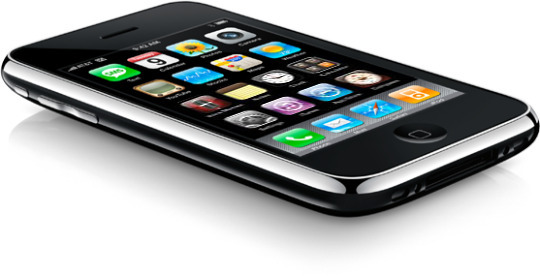 Apple tops 1 billion iPhones sold — Apple has a thing for its billion milestones, and this time it’s for the iPhone. CEO Tim Cook says the company recently sold its billionth iPhone—a number the company hit just days before its third fiscal quarter earnings report. Apple is still the top tablet manufacturer with iPad sales way ahead of second place Samsung — The latest report from the global market research firm TrendForce finds that worldwide tablet shipments for this second quarter totaled 33.54 million units, representing a quarterly drop of 4.8% and a year-on-year decline of 8.8%. Apple retains its top position in the quarterly ranking with 9.95 million iPads shipped. This figure translates to a 2.9% dip from the first quarter and a 9% drop from a year ago. Apple’s content negotiation tactics have ‘alienated’ cable providers & networks – report — Apple has allegedly taken a hardline approach in negotiating with content owners for a potential $30-per-month streaming television service — a strategy that may have backfired on the company, a new report suggests. Apple tops list of top 10 websites with safe password practices — Dashlane has released a list of the top ten websites with safe password practices, just in time to help parents navigate online safety risks during the busy back-to-school season. 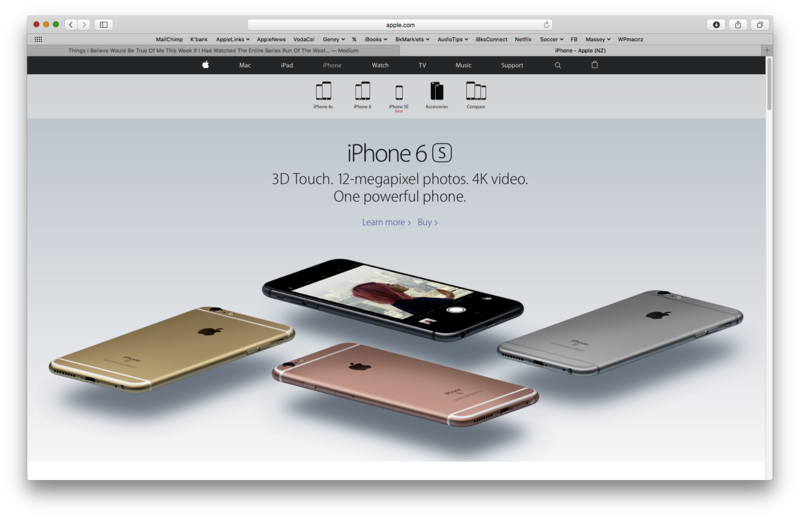 Apple’s website tops the list. Apple bolsters ‘Project Titan’ self-driving software team with former QNX CEO — Apple has placed Bob Mansfield in charge of the Project Titan car project, and to flesh out the advanced software needed for a self-driving automobile, Apple has reportedly hired talent away from former high-profile rival and now-beleaguered BlackBerry and its QNX division. Using macros — Macros save you time in several ways. First, you don’t have to stop typing and reach for the mouse to trigger a macro. For another, a macro usually executes much faster than you could type or click. Finally, macros can string together multiple actions to create something that would require multiple time-consuming steps to perform. Check out this guide. BatchPhoto for Mac OS X great for automating repeated actions — Bits&Coffee’ BatchPhoto is a useful all-in-one photo manipulation program for Mac OS X and PC systems; it lets photographers, web designers, business people, and families enhance photos. It adds an updated visual drag-and-drop zones for the Annotate filters and an enhanced Auto Crop filter to show the original image in the background. BatchPhoto comes in three editions: Home, Pro, and Enterprise priced at US$29.95, US$49.95, and US$129.95, respectively. A demo version is available for download. 3rd-party Vulkan API could simplify porting graphics-intensive games to Metal on macOS, iOS — The new MoltenVK developer API aims to ease porting of games to Apple hardware, and its native support of Metal graphics, by by bringing the cross-platform Vulkan 3D graphics API to both iOS and macOS. 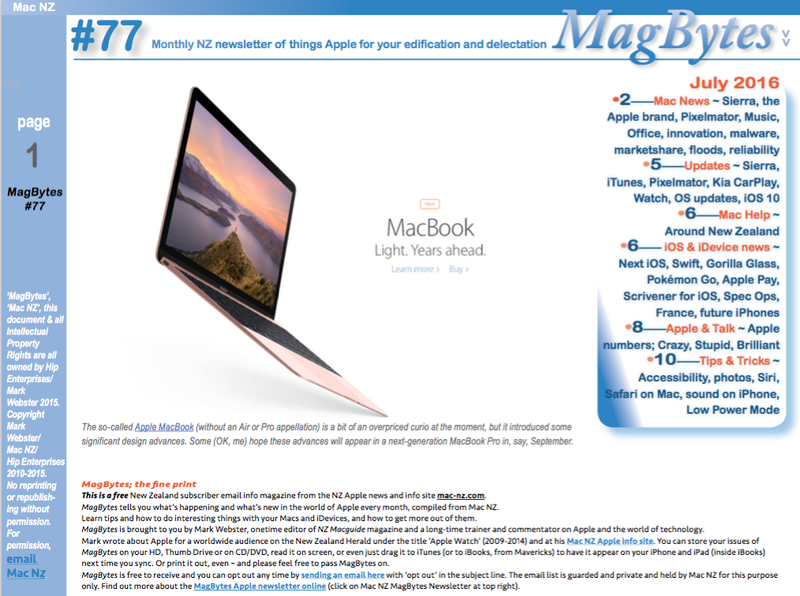 Here’s the latest MagBytes, I hope it’s useful. I am always open to suggestions, comments and criticisms – please email me your thoughts. Microsoft Pix intelligently takes the best pictures for you. Apple earnings and iDevices — Apple sold some 40.4 million iPhones in the just-gone quarter, down significantly from the year-ago quarter when Apple sold 47.5 million iPhones. iPad sales came in at 9.9 million units, while Macs clocked in at 4.2 million units. Bad as it is, it’s slightly better than the 40 million than Wall Street predicted. Unit iPad unit sales were also down again, slightly, but revenues were up 10%. Apple Pencil could be your next Gaming Device — If Apple’s latest patent is any indication, your next Apple Pencil will be more than a pointing and drawing accessory for your iPad Pro. It’ll also be a pointing device for your Mac, and a joystick for gaming. Right now the web, rather than apps, seems to be the best way to find rare Pokémon in Pokémon Go. Currently, Pokévision provides a real-time look at the Pokémon spawning around you, and more importantly, when they’ll de-spawn or vanish. 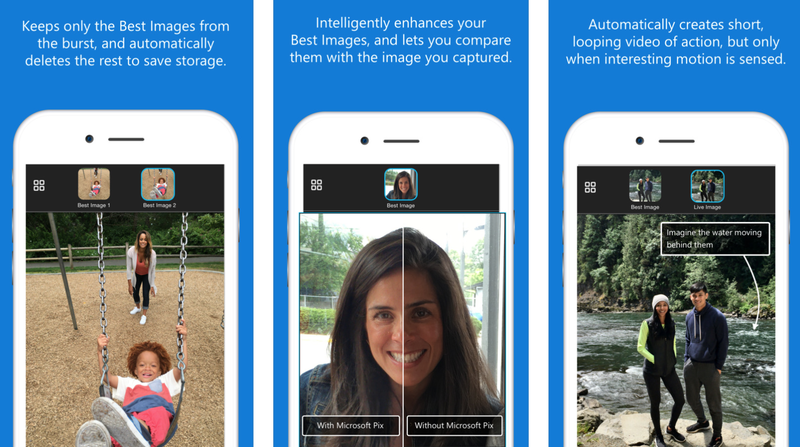 Microsoft Pix promises to improve iPhone photography, independent of the user — Microsoft has released Pix, a new photo application that utilises the company’s machine learning skills with a computational photography implementation intended to improve the quality of photos shot on an iPhone 5s or newer. To assist in composition and automatic image tailoring, Microsoft Pix takes a continuous stream of photos as it is running. The app tracks faces, and sets parameters for exposure on the fly, while the app is open, and even before a picture is taken. Microsoft Pix is available for free now on the iOS App Store, and requires iOS 9, and an iPhone 5s or better. The app requires the sixth generation iPod Touch, the iPad Air, the iPad mini 2, or newer. Storage requirements start at 149MB, and grow as photos are taken with the app. The app requests access to the user’s photo library, the camera, and location information. Firefox 5.0 for iOS Gets Speed, Battery Improvements and Custom Search — Mozilla has pushed out version 5.0 of Firefox for iOS to the App Store, and along with it comes a slew of new features. Chief among those are both speed and battery life improvements as well as the ability to add custom search engines to the browser. 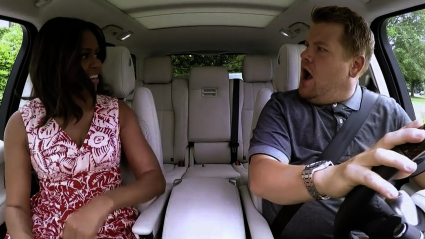 First Lady Michelle Obama joins James Cordon for Carpool Karaoke, which will be spun off into an iTunes Music exclusive series. Apple scores exclusive deal for CBS Carpool Karaoke TV series — Carpool Karaoke, the wonderfully fun segment on The Late Late Show where host James Cordon sings in his car with celebrities, is getting its own spin-off series streaming exclusively on Apple Music. The deal shows Apple’s growing interest in original content, and could draw more subscribers to its streaming music service. Creative Cloud subscribers can now use Lighroom for Apple TV to see their photos on the biggest screen in the house. 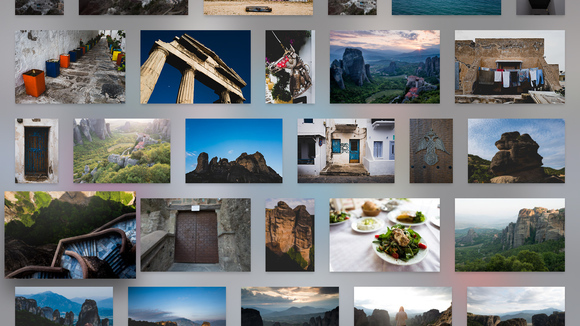 Adobe is augmenting its Lightroom brand with a new app for the fourth-generation Apple TV. The case For a shatterproof iPhone — The iPhone’s display is made of Corning’s gorilla glass. It’s durable, but not indestructible. As a result, many iPhone customers (try to) protect their investment with a case. [I’m a huge fan of stick-on tempered-glass shields, myself.] Should Apple try to make the iPhone shatterproof? Is it possible? Will a case be, someday, unnecessary? Or is an iPhone that can be damaged preferable in some respects? 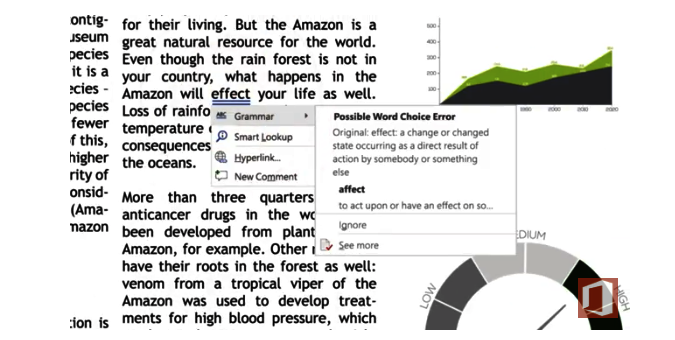 Microsoft Office 365 gains machine learning writing style assistant, research tool — New updates are coming to Microsoft’s Office 365, including artificial intelligence-driven writing style coaches and research assistants in Word, allowing writers to pull in and cite online sources as they work, plus the addition of ‘Focused Inbox’ email management to macOS. The Focused Inbox feature is now across all Office 365 compatible devices. Previously available only on iOS, the Focused Inbox replaces the ‘Clutter’ folder and separates emails important to the user from other emails in discrete tabs. As with the mobile version of the feature, it learns from user behavior to fine-tune email filtering over time. Macs account for three of the top 10 laptops recommended for students by SpecOut — The data experts at SpecOut, a consumer tech research site powered by Graphic, has developed a list of the top laptops for students entering college in 2016. Apple has three of the top 10 entries. Way-Back-When Video: 1995 and Power Computing with Bob Levites — This video is from a show called The Computer Chronicles in 1995, and it features Bob ‘Dr Mac’ LeVitus (starting at 8:17) introducing the first Mac clone from Power Computing. He was working for Power Computing in those days as head of PR. This video also has a segment with Jack Colt from DayStar demoing a multi-processing Mac clone that was a massive powerhouse in its day. It allows graphic designers to preview, inspect, and reveal dependent font and image files from within Apple’s Quick Look preview feature. Art View works independent of other applications, so users who don’t have graphics applications installed are still able to take advantage of its features. Art View is available for a free, 15-day demo and is available for purchase online. A single-user license costs US$24.95. Art Viewrequires Mac OS X 10.7 or later. Fluent survey: Apple has a strong core business, but … Fluent, an ad tech company, has released a report on Apple products, which surveyed 2,144 Americans to better understand their views of Apple products – iPhone in particular. The survey results confirmed the belief that Apple has a strong core business, but also demonstrated that consumers are divided on the extent to which Apple will continue to lead its competitors. Tuesday Talk ~ is it ‘game off’ for the Mac? Once upon a time, although it seems hard to imagine, Mac games were well developed, even groundbreaking. Many long-timeMac users still fondly remember Marathon, by Bungie Software, for example. This was a great example of a graphically rich sci-fi platform which had some genuinely terrifying moments. Unfortunately, Microsoft bought Bungie and stopped all Mac development, but for a while there, things were looking really promising. I will still play all the way through a game, just to see what it can do and for the sheer pleasure of it, but I haven’t seriously played a game on Mac in nearly two years. Sigh. Mac gaming’s history almost seems like a secret. Sure, there are games – just look in the Mac App store. Most of them are relatively simple: side-scrollers or find the secret, some puzzlers etc. Sure, some look good. And there are still a few well-developed, rich game environments like Bioshock, Borderlands, Batman: Arkham City, Deus Ex, Metro and even the Walking Dead series, although I haven’t found those very satisfying (the choices don’t lead to much plot differentiation). And Call of Duty still makes it to the Mac … eventually, long after the PC and console versions have been out. But it feels like the gaming world turned its back on the Mac around the time the brilliant Fallout franchise did. But should we care? Actually, yes. Gaming drives video card development, and the need for ever better video and system specs, which in turn keeps the pro users happy. And I fear this is a sector in decline for Apple, despite its supposedly ‘Pro’ iPads. There is some light. Ric Molina at Mac Gamer HQ keeps the beacon blazing, and Richard Moss is writing The Secret History of Mac Gaming, which could do with a bit of help. As Richard puts it, “The Macintosh changed videogames. It seldom gets credit for this, but it did. It — and its tight-­knit community — challenged games to be more than child’s play and quick reflexes. It showed how to make human ­computer interaction friendly, inviting, and intuitive.” Hear, hear. And Steam lets us play many games. There are still a few great games on Mac. Check out this Digital Trends post, for example. But the glory days are gone. As in many areas, this would benefit from Apple actually spending some time on it, like the brilliant and very sadly under-used iBooks platform. 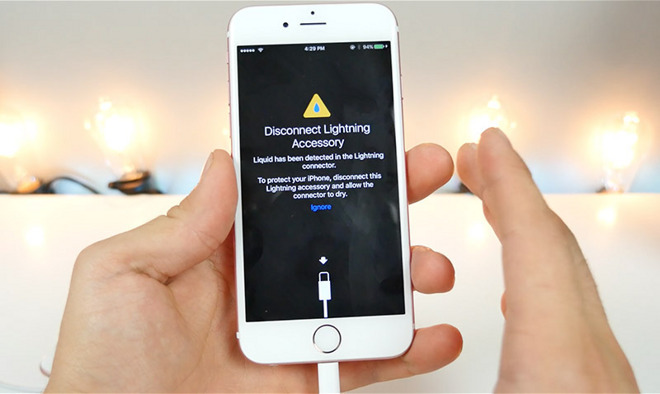 Liquid ingress warning in iOS 10 beta protects iPhone against water damage — A new feature discovered in Apple’s latest iOS 10 beta warns users when liquid is detected in an iPhone’s Lightning port, a handy tool for saving compatible devices from irreversible water damage. Apple Maps mass transit information for Vancouver, San Diego goes live — Apple has now added public transit directions for Vancouver, British Columbia and San Diego, California for users of the Maps apps on iOS and OS X.
Apple’s share of the US smartphone market is creeping back up — eMarketer, a research firm, has released a report on US and UK market share for the iPhone and iPad. It shows that the iPhone’s market share is creeping back up (at least globally), while the iPad’s market share continues to decline. Ford’s SYNC 3 expands to support Apple CarPlay — Ford is expanding its SYNC 3 connectivity platform, allowing compatibility of Apple CarPlay and Android Auto throughout its entire 2017 U.S. vehicle lineup of cars, SUVs, light trucks and electrified vehicles. Apple retains sixth place among laptop shipments in western Europe — Apple retained sixth place among laptop shipments in Europe, the Middle East, and Africa, according to new data from the IDC research group, trailing HP, Lenovo, Dell, ASUS, and Acer. It looks like Apple special projects guru Bob Mansfield has taken the wheel on Apple Car — Project Titan has a new leader: the Apple exec who developed the iMac, iPad, and MacBook Air. Apple hyping this week’s opening of first-ever Brooklyn retail store — With less than a week to go before Apple opens the doors on its first retail location in Brooklyn, passersby have been notified of the grand opening with new signage advertising the long-awaited opening in New York City’s most populous borough. Which iPhone model do you have? Here’s where to look — If you have an iPhone 6s, but which iPhone 6s do you have? Your model identifier numbers will tell you. You’ll find your phone’s “A” number stamped on the back of your device. Flip it over, look for the fine print below the “iPhone” label, and look closely for the “Model” identifier. iPad poised for glory — The iPad launched with great enthusiasm in 2010, and just about everyone had to have one. It was boldly declared to be the harbinger of the Post-PC era. But then it faltered. 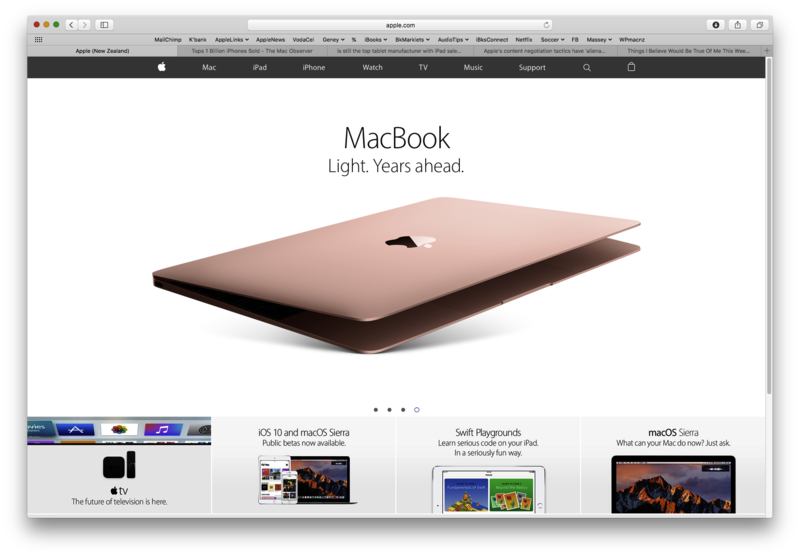 Now, Apple is positioning the iPad to take up its long-intended role as the PC replacement. Here’s how Apple is going to do that. How and why to verify your Twitter account — You can finally request that coveted blue verified Twitter badge that has eluded you for seven years.